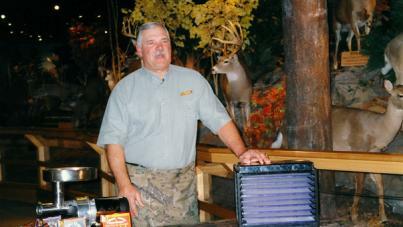 Walter and Larry prepare for some wild game hunting. 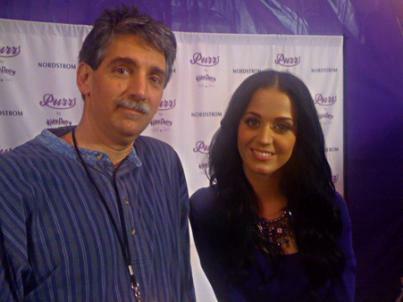 Larry refused to hold the other pop gun. 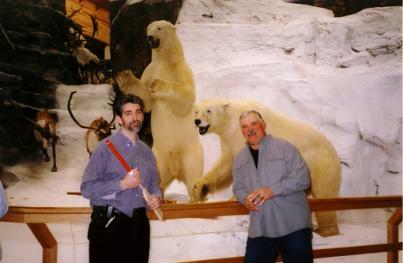 The Cabela's museum quality wildlife displays serves as a backdrop for the two day shoot in Hamburg, PA.
Director of Photography shooting the two camera wrap arounds for the PBS Mark Twain/Ken Burns documentary. 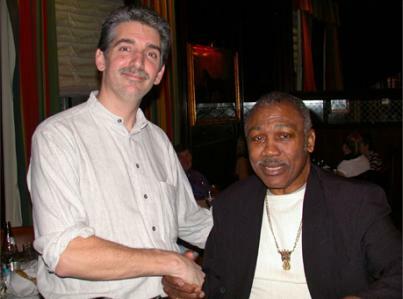 Former Heavy Weight Champ Joe Fraser couldn't be nicer to all that wished him well before he was interviewed on the FOX Happy Hour show. 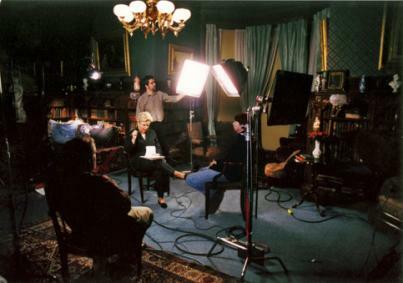 A live interview for NFL Network from Frank and Kathie Lee Gifford's home in 2005 after the passing of NY Giants owner Wellington Mara. Jennifer Lopez is one of the attendees. 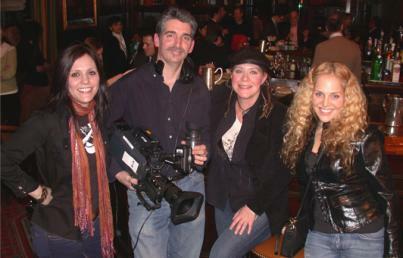 Walter with Kristen, Cathy and Cassidy after their live appearance on "Happy Hour" at the Bull&Bear at Waldorf Astoria. 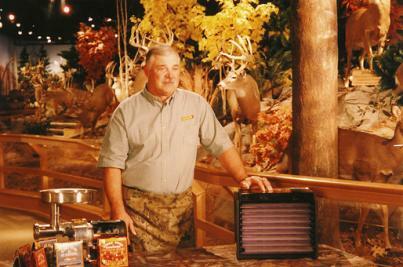 Walter served as the DP on a series of Holiday gift ideas for that outdoorsman you know. 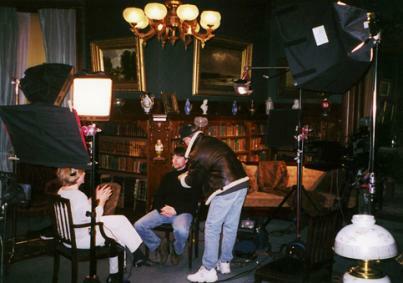 DP Walter Ortoleva "tweaks" the lighting before the interview with Ken Burns at the MArk Twain House in Hartford, CT, in 2002. 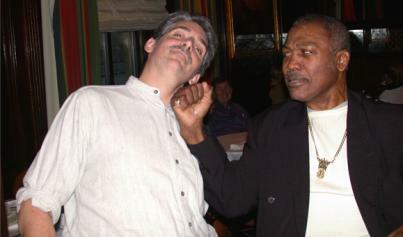 Joe Fraser and Walter hit it off. Boy he's got big hands! 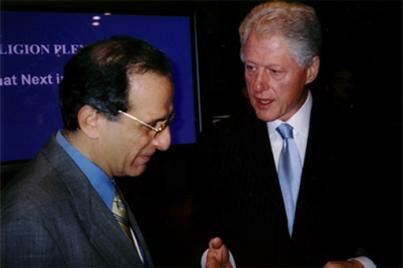 Former President Clinton before interviewing him for Bloomberg TV. 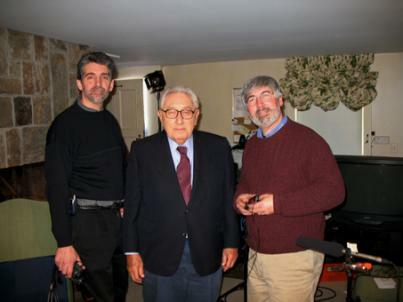 Interviewed former US Secretary of State Henry Kissinger at his home. He had coffee and cookies waiting for us when arrived. 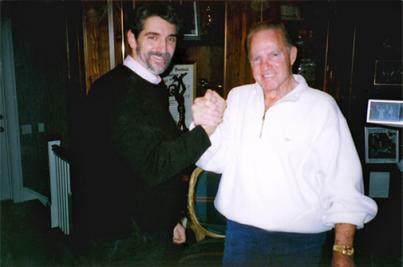 Frank Gifford and Walter had 45 min. to talk and arm wrestling after a technical delay with the satellite downlink.